I box the last stack of books, bag the last pile of handouts, probe the back of desk drawers for the last remnant of a daily teaching life. I clean the desk, wipe shelves, arrange chairs, force myself not to get all weepy, close the door of my office, and turn in the key. I have “retired” from teaching. But, wait, it is impossible for me to retire from teaching. Does a bricklayer retire from laying brick? Does a chef stop planning recipes? Does a parent retire from parenting? A bad back and bad management provoked my decision to transition out of the academy. I began as an adjunct instructor of English composition in a public institution and end as a tenured professor teaching advanced writing courses in a private institution. But this is not a look-how-far-I-have-come-self-congratulatory-achievement story. Teaching is a practice, not an achievement. It is easy to sort out what will be missed from what will be left behind with relief. No more meetings, no more agendas, no more merit reviews, no more disbelief when privileged, tenured professors undermine the few rights of contingent faculty, no more culture of self-interest. I taught in a technical university where the liberal arts got short budget line shrift. No faculty union but lots of lip service to “shared governance.” There is little evidence that the humanistic education of students was a high priority, but they did construct a great field house. Many times I walked away from a department or college meeting thinking, “What’s wrong with these people?” That’s the familiar bad stuff; it will fade. What won’t easily fade is the artistry of teaching and the creative work of imagining a course through the map of the syllabus. Each course had an implicit narrative—a beginning, middle and end—the story line of our work together. On the first day of class when I would distribute the syllabus, usually printed on color paper and about five pages long, I would watch as anxious or maybe impatient students would scan the assignments to see what they had to read, write, do—and what they could skip. They did not see how we would start somewhere and conclude somewhere else. They did not see the hard decisions about books, about pace, about language. They did not know the syllabus was really about them. in the Bronx, a second job as a butcher, and any spare jobs he could swing. I too was never a dog. (I know what the student’s father meant by “dog,” even though dogs in my neighborhood are treated affectionately well.) A teacher’s life may be exhausting and stressful, but the physical body is (usually) not at risk. This September will be a hard month. I tell myself: No start-up jitters. No perpetual fatigue of seven courses a year (for years it was nine courses). No rush of preparation. No troubled dreams of not finding the right classroom or of finding it and discovering it’s empty and all the students are outside and refusing to come in. No sense of alienation as a working-class outsider in a bureaucratic culture. I will deeply miss teaching. I will miss most the motion of the teaching act—back and forth, between teacher and students. It is invisible and potent. And it cannot be measured. When I tell people I have retired, inevitably, they say, “Congratulations!” I shake my head, “no,” hinting that is not the right response for me, but not explaining why not. I haven’t yet figured out how to compose a life without the rhythm of the classroom. But, I know how fortunate my teaching life has been. I never had to manage unsafe work like my father or stand all day in front of a hot grill like my mother. They never complained about their work to their children. It was just part of life, but not the whole of life. But then I know that I will always be a teacher, but maybe not now in an institution. Academic life is part of life, not the whole of it. That’s the lesson from my best teachers. 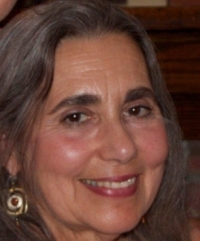 Janet Zandy is emerita professor of English at Rochester Institute of Technology. She is the author of the award-winning Hands: Physical Labor, Class, and Cultural Work and other books on American working-class culture. Her most recent book is Unfinished Stories: The Narrative Photography of Hansel Mieth and Marion Palfi.